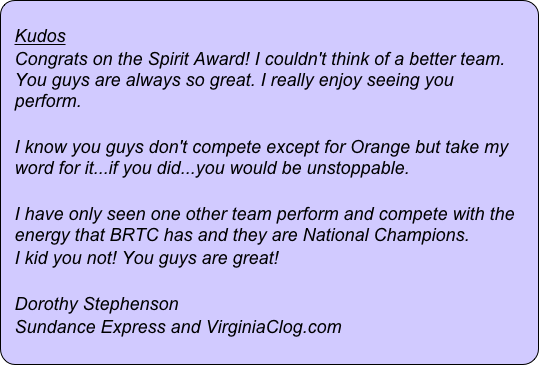 2006 brought a new look to BRTC as we formed the first ever “Team.” These are performers who have made an extra time commitment and desire to work on showmanship. Our first Team consisted of 12 performers. Our first performance as a Team was for the Cherry Blossom Festival in Washington, DC. Team participation requires a six-month commitment to both practices and performances. If you are currently a BRTC performer and aspire to join Team Lightning, we’d love to have you! Just have a chat with Mary about the commitment and things you might need to work on.